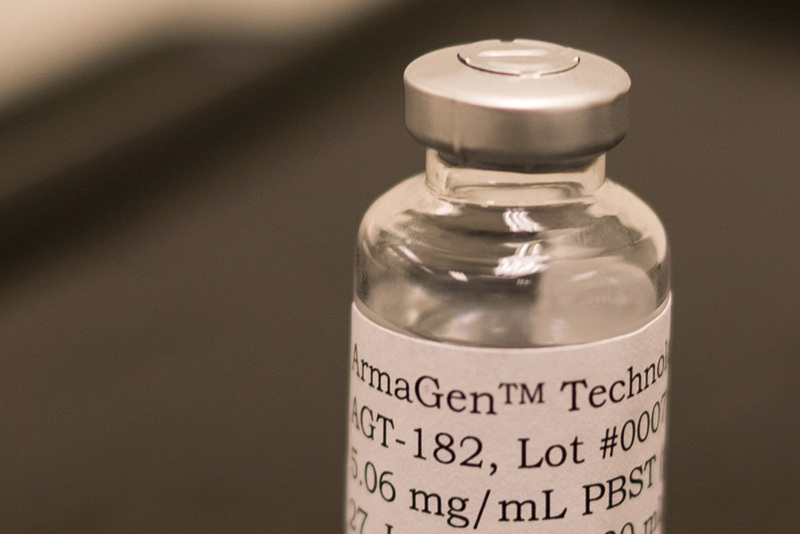 AGT‑182 is an investigational enzyme replacement therapy (ERT) for the treatment of neurological complications in patients with Hunter syndrome. Currently approved treatments for Hunter syndrome do not penetrate the BBB and therefore do not address the severe and progressive neurological complications of the disease. AGT-182 is a fusion protein of iduronate-2-sulfatase (IDS), engineered to cross the BBB by binding to insulin receptors located on the BBB. An animal study published in 2013 in the journal Bioconjugate Chemistry provides compelling evidence that AGT‑182 crosses the BBB safely at unprecedented levels. 1 AGT-182 is currently in Phase 1 clinical trials.